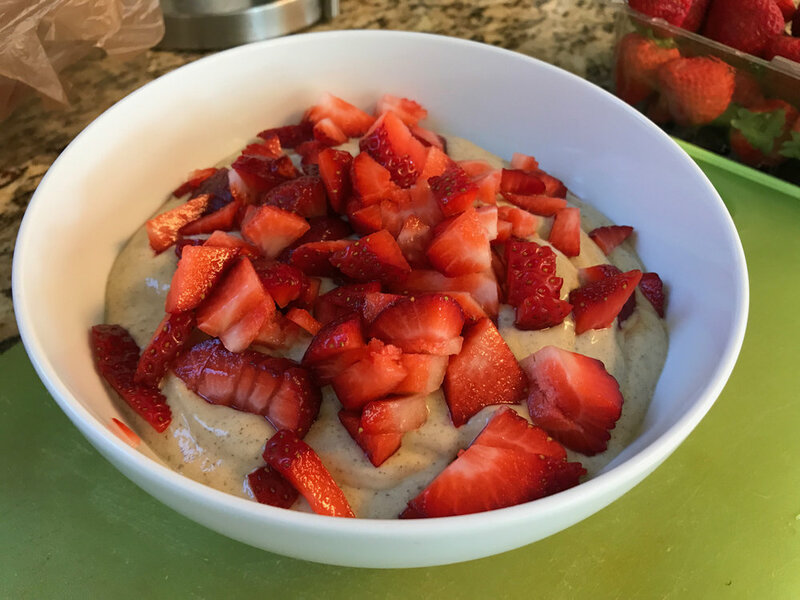 In the Buff Smoothie Bowl — Ginger writes. After I got my wisdom tooth removed the other day, the dentist told me no smoking or using straws. I never smoke, but I use straws all the time for lunch smoothies. Thankfully I had recently tried a new recipe for a smoothie bowl, so this would be the perfect occasion to have it again. A smoothie bowl is just what you think: a smoothie in a bowl, which means you use a spoon instead of a straw. I am still stuck on the Oh She Glows lady, Angela Liddon, and her fabulous collection of vegan recipes. I forever need breakfast and dinner inspiration, and when I can find margin to try new recipes, Oh She Glows delivers. I had not thought I would love the concept of a smoothie in a bowl, but it's actually nice for a change. It feels more like a whole lunch because it takes longer to eat and this recipe makes a lot! 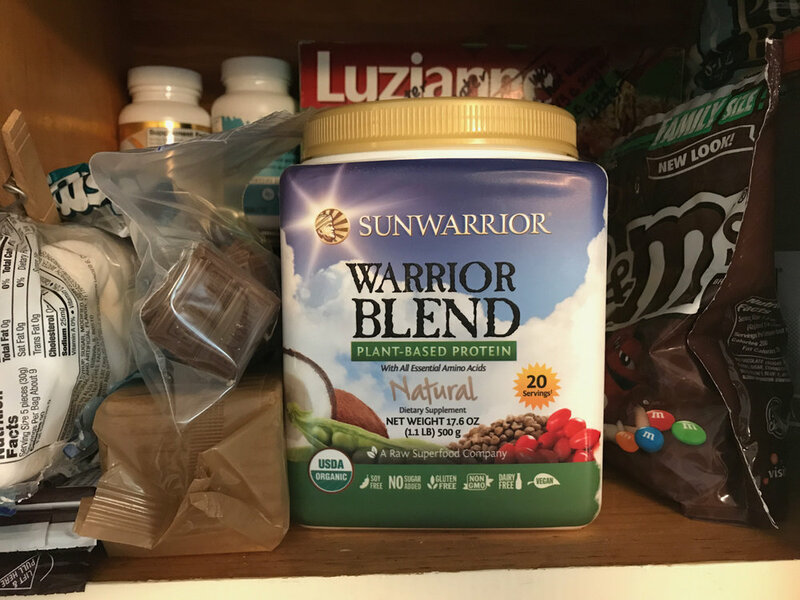 Healthy protein powder, nestled right between the s'mores supplies and the kids' birthday M&Ms! 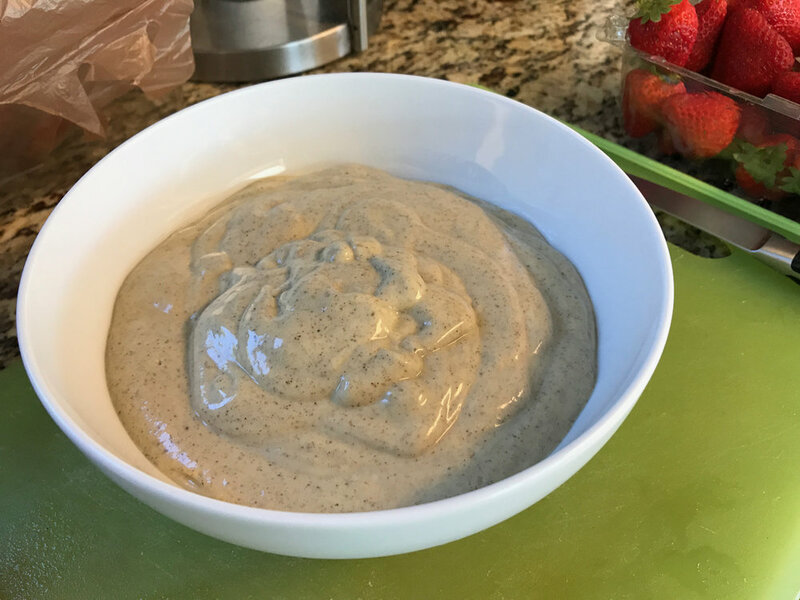 If you decide you want to try it, but don't want to buy your own container of the plant-based protein powder that is listed in the recipe, I am happy to give you some of my protein powder to try the first time to be sure you like it enough to buy your own. Just let me know! If you don't live near me, I can even mail it to you. Wouldn't that be fun mail to get?! Here's the recipe to view and print. No smoking or using straws!